Electrical Compliance – Are You At Risk? Strata managers, did you know advanced lighting systems would save you time, and money for Executive Committees? As a busy strata manager, you are responsible for the smooth running of your buildings. 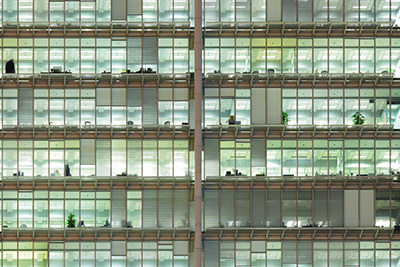 All strata buildings have lights, and sophisticated buildings have lighting control systems. Put simply, Lighting Control Systems provide the right amount of light where and when it’s needed. Are you sick of organizing repairs of lights and bulbs? What about the cost of running old lights? Lighting can make up 50% of energy bills and smart lighting practices and energy efficient lighting systems could reduce this energy usage by 80%! Are your buildings at risk? As strata managers you are responsible for the safety of residents and visitors to your buildings. Australian Standard AS 2293.1-2005 states that Exit and Emergency lighting must be tested at least every 6 Months. This includes a 90 minute battery power down (discharge) test. Our licensed technicians perform emergency and exit lighting tests, providing you with the Fire Safety Certificate required for your occupation Certificate. Our comprehensive report also outlines future risks and energy efficient solutions. Do your buildings comply to minimum light levels? All buildings need to comply with Australian Standards for lighting levels. Have you ensured that all of your common areas comply and produce applicable light for the type of space and facility? Our technicians can measure light levels in all areas and advise you on your compliance. Full compliance details can be found with us. Ask us for the format/template/schedule.